Donald Trump, president of the United States, addresses questioners among journalists at press meets with a “sir” or “madamm”. His predecessor, Barack Obama, used to pat the back of visiting world leaders, including the elderly Indian Prime Minister Manmohan Singh, before he suddenly dispensed with that habit. This scribe’s modesty cautions him against bragging that he might just have been an immediate cause of Obama’s change in style, having criticized it in newspaper columns. The Pentagon representatives at the US Embassy in Kathmandu are known to file reports in which the comments of yours humbly figured, as shown in the WikiLeaks revelations. When it comes to observing protocol, Nepalis continue to be rigid both in attitude and approach towards fellow nationals. In dealing with foreigners, however, they shed such orientation altogether—at times to ridiculous levels. 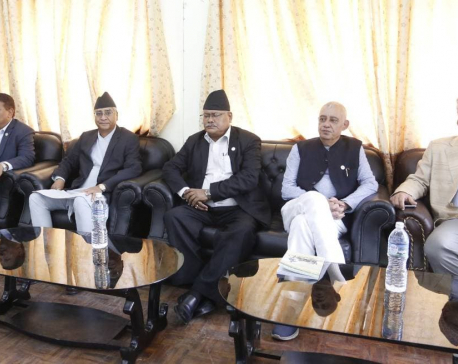 Prime ministers and ministers indulge foreign ambassadors based in Kathmandu to the extent of “jointly” inaugurating projects, launching books and what have you as if they are each other’s counterparts. In December 2016, the then Minister for Culture, Tourism and Civil Aviation Jeevan Bahadur Shahi and Indian Ambassador to Nepal Ranjit Rae “jointly” launched a book published by BP Koirala India-Nepal Academy. Can anyone imagine Indian Prime Minister Narendra Modi obliging with such gesture whoever heads the Nepali Embassy at New Delhi’s Barahkhamba Road? The Shahi-Rae incident is not an isolated case of one-way traffic in breaking protocol without reciprocity. Indian President Pranab Mukherjee’s visit to Nepal elated the Sushil Koirala government so much that it declared a public holiday the day he arrived. The decision reeked of a rank absurd approach. There is also this episode of Nepali Congress leader Deep Kumar Upadhyay, serving as ambassador to New Delhi while “conspiring” to topple the KP Oli-led coalition in 2016. When recalled home for his recalcitrance, Upadhyay summoned all his political clout in Nepali Congress to be reappointed to New Delhi, and soothe his hurt ego. To allay uncertainty arising from domestic politics being directly reflected in the conduct of diplomacy so shortly after the sack-order, Upadhyay demanded and obtained reappointment to Barahkhamba Road with an “elevated status”, i.e., “equivalent to a cabinet minister”. Once the general elections were announced not long after his reappointment, he decided to contest, even if only to lose from his traditional electoral constituency. Serving the nation is supposed to be the prime purpose of diplomatic assignments. In Nepal, ambassadorial job is a matter of plum posting which gives an illusion of prestige at home and perhaps also fatten the appointee’s wallet. A post-retirement incentive is that a former ambassador generally acquires “foreign policy expertise” automatically. The first commoner prime minister after the dawn of democracy, Matrika Prasad Koirala in 1961 accepted King Mahendra’s offer of ambassadorship to Washington and permanent representative at the United Nations at a time when Nepal was keen on boosting its international profile. Although his political detractors passed snide comments about the post “not befitting a former premier”, the commander of the 1950-51 democratic movement dismissed them as ignorant opinion. His stance: It raised the ambassadorial profile and sent a message of the significance Nepal accorded ties with the superpower during the height of the Cold War. In appreciation, the Lyndon Johnson’s administration invited King Mahendra for a second state visit to the US in November 1967. The king’s first state visit to the US was during Dwight Eisenhower’s presidency in April 1960, when he addressed the joint session of the US Congress. 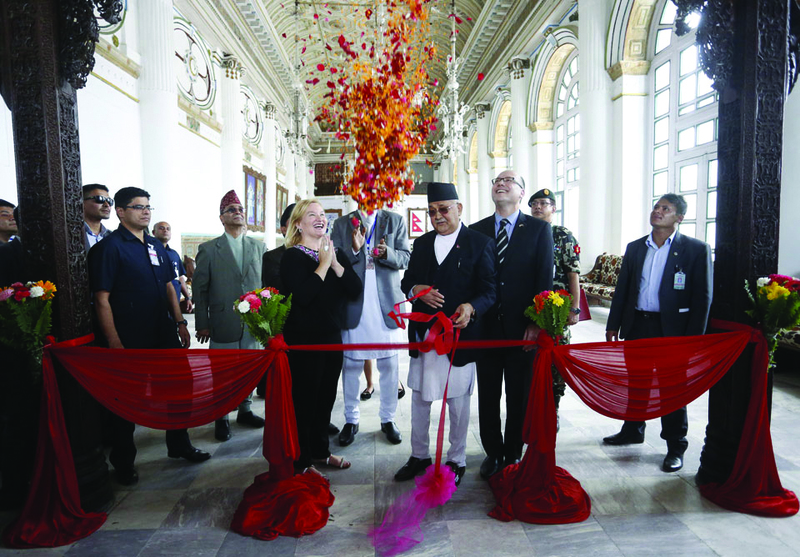 All this paved the way for attracting attention on Nepal at global forums. Eventually in 1968, Nepal made it to the United Nations Security Council as a non-permanent member. It is germane to note here that Britain’s three-time Prime Minister Tony Blair, after leaving office, served as his country’s roving envoy to West Asia. Matrika Prasad Koirala’s son Kamal Koirala, of the CPN (UML), has admitted to making enforced “contribution” to his party coffers after his ambassadorial stint in South Korea ended. It is public knowledge that Nepal’s ambassadorial appointments are largely auctioned to the highest bidder among cronies and those showered with nepotism rather than merit. Ideological clashes spill over bilateral ties as well. Less than two months after the Arniko highway was formally opened in May 1967, students close to Nepali Congress and pro-Soviet Communist groups raided the Chinese stall at the Bhrikuti Mandap exhibition ground protesting against Mao Zedong’s portrait being displayed alongside King Mahendra’s. They argued that only portraits of foreign heads of state could be installed along with the host country’s head of state. Liu Shaoqi was Chinese head of state at the time. Addressing Pushpa Kamal Dahal without the suffix “Prachanda” risks incurring the two-time premier’s displeasure just as a red rag send a bull running amok. During his second short stint as prime minister, Dahal instructed his ministers to brief journalists close to their party not to forget including “Prachanda” at the end of his surname. Dahal picked up “Prachanda” when he went underground. On the eve of Oli’s India visit in April, Nepal’s coordinator at the Eminent Persons Group Bhekh Bahadur Thapa asserted that Nepal-India Treaty of 1950 would not be discussed during the trip. As was only to be expected, his comment attracted unflattering remarks when the prime minister disclosed that the treaty figured during the talks with his Indian counterpart. Oli and Charge d’Affaires at the US Embassy Peter Malnak last month “jointly” inaugurated the restored Gaddi Baithak in Kathmandu. That was two months after Oli and Chinese Ambassador Yu Hong together inaugurated the 1MW solar plant installed at Singha Durbar. Early February, Prime minister-in-waiting Oli and former premier Pushpa Kamal Dahal paid Indian External Affairs Minister Sushma Swaraj a visit at a hotel in Kathmandu. A small section of the press noted the protocol violation. One is reminded of King Gyanendra, at the 2005 SAARC Dhaka meet, having refused to allow the Indian external affairs minister around when the king was to have a “one-on-one” meeting with Prime Minister Manmohan Singh. The Indian side wanted its minister in and Nepal’s Foreign Minister Ramesh Nath Pandey out. As a compromise, both the ministers were placed out of the earshot of the two leaders. The Election Commission denied former Vice-President Parmananda Jha permission to monitor last year’s local elections on grounds of “protocol issue”. Surya Prasad Shrestha, the first chief election commissioner after the 1990 restoration of multiparty polity, was puzzled as to why Jha’s request was refused. Som Lal Subedi preferred to leave his chief secretary’s job a year ahead of his mandatory retirement age, thanks to a lucrative job at the Manila-based Asian Development Bank, reserved for a civil servant two rungs lower than the government’s top bureaucrat. 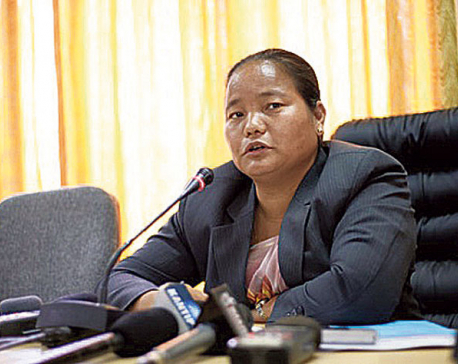 When the then Chief Justice Sushila Karki was suspended in April 2017 after 249 NC-Maoist MPs signed and tabled a motion in parliament for impeaching her, a Maoist-appointed Attorney General was on a television channel criticizing the suspended Karki. It was no less cavalier than the jocular manner in which Sujata Koirala, as deputy premier looking after the ministry of foreign affairs, had briefed the press on a visiting Indian foreign secretary’s call on her a decade ago. In February 2017, Vice-President Nanda Bahadur Pun praised the outgoing Indian Ambassador Ranjit Rae for his “successful” and “crucial” role during his term in Nepal. And to think that Nepalis had to bear an excruciating economic blockade New Delhi clamped on this country, covering much of Oli’s premiership in 2015-16. But then the Nepalese press too stands curiously conspicuous for being “different” in carrying stories and photographs of their own ambassadors calling on their own ministers when back home for a briefing or personal work. External interference and influence blunt internal initiative and penchant for creativity and experimentation in tune with local ethos. Personal interests, more than institutional tradition, get their way through; come what it may in Nepal. We expect an ambassador to keep his sixth sense wide awake and his third eye equally alert for any potential nugget of significant information or details that otherwise would slip away in the blur of ease and relaxation. Atoning for the years of negligence, indifference and relentless lapses is a tall order for any government.